Twitter use by physicians, including those in the hematology-oncology field, is increasing. This microblogging platform provides a means to communicate and collaborate on a global scale. For the oncology professional, an active Twitter presence provides opportunities for continuing medical education, patient engagement and education, personal branding, and reputation management. However, because Twitter is an open, public forum, potential risks such as patient privacy violations, personal information disclosures, professionalism lapses, and time management need to be considered and managed. 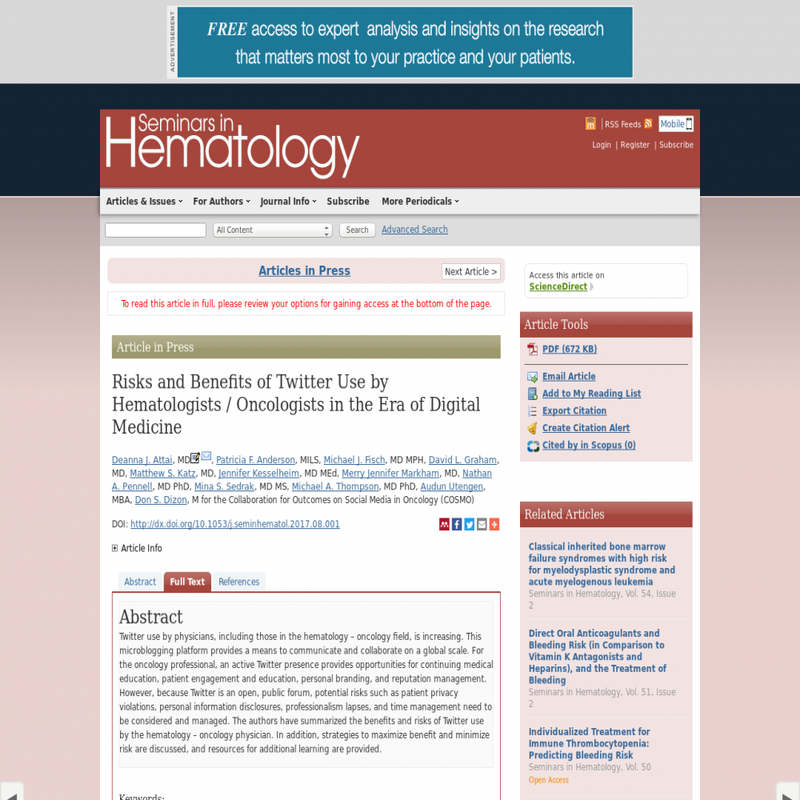 The authors have summarized the benefits and risks of Twitter use by the hematology-oncology physician. In addition, strategies to maximize benefit and minimize risk are discussed, and resources for additional learning are provided.